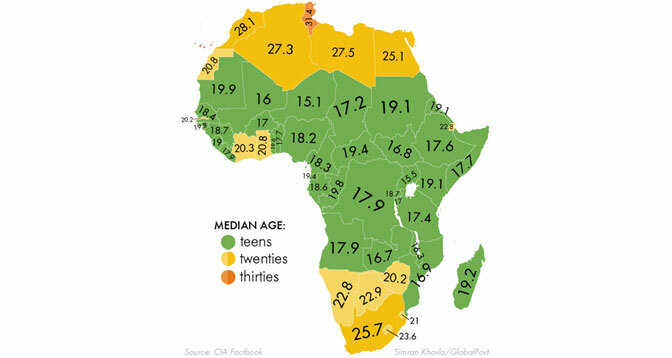 But perhaps of even more significance is the demographic transformation that Africa is experiencing, and will continue to experience over the next several decades. Now home to 1.1 billion people, by 2050 the United Nations estimates that Africa’s population will reach 1.8 billion; by 2100, 2.3 billion people, a majority of whom will be youth. Through the course of my research with Harvard Business School Professor, Clayton Christensen, we have learned that no country has developed in a sustainably without investments in disruptive innovations. There are two types of disruptive innovations, low-end disruptive innovation and new-market disruptive innovation. I write about the new-market disruptive innovations, which are targeted at non-consumption, a circumstance where a majority of people in a society are unable to afford a particular product due to cost, time, or skill constraints. These innovations transform the existing complicated and expensive products to simple to use, more affordable products, thereby making them more accessible to a larger set of people in society, such as M-PESA, the mobile money platform in Kenya. They serve as the engine of economic development in a society.